Can Affordable Beauty Tools Be Brilliant? So when it comes to Makeup tools you want the best quality you can get for your money, we all do! So when these 2 brushes and Makeup sponge came through my letter box from Born Pretty Store I was ever so excited to give them a try to see can you really get amazing brushes for affordable prices!? I adore my Real Technique and Zoeva brushes and don't think they can be beaten so I was iffy about trying these out however I gave them a try over the past month and now know how I truly feel about them. 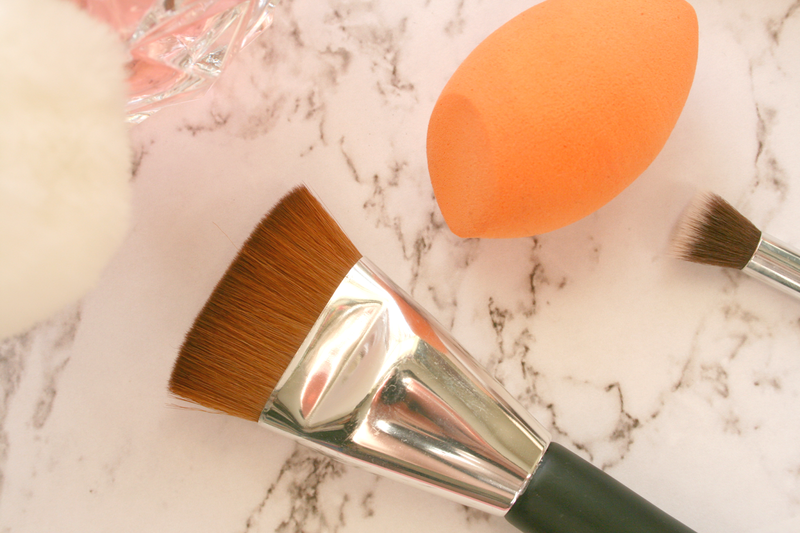 Starting with the Flat Contour brush*. I adore huge contour brushes like this with the bristles tightly packed together, it makes it so much easier to fit under your cheekbone to get the perfect defined look. I was quite impressed with this brush. The bristles are soft and pick up just enough product to apply your bronzer, making it easier to build up the product rather than picking up too much. I also washed this brush quite a few times and will say the odd one or two hairs became loose but other than that it stayed in tact quite well! For only €3.64 (currently half price) I don't see how you could go without this in your collection! 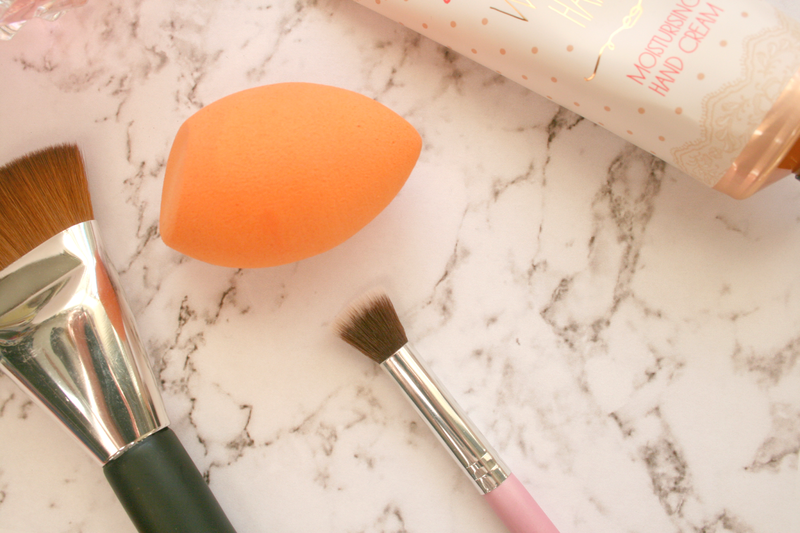 The Makeup Sponge* had me really intrigued because you have to admit it's pretty identical to the Real Techniques one! Personally for applying foundation, if you want a flawless look I always opt for my Real Techniques sponge because it gives such a gorgeous finish so I could not wait to put this one to the test. Truth be told I actually picked this up one day thinking it was my Real techniques one and it wasn't until later in the day when I went to use it again that I realised it was in fact the BornPrettyStore one! I can't find a flaw with this as its so like the Real Technique's one its insane! For just €3.20 I may be treating myself to some more to stay stocked up! I also received a Round Head eyeshadow brush* from this 4 set piece you can find here! I've fallen head over heels for using this for blending out my concealer or for blending out my eyeshadow. It's almost like a tiny little stippling brush and it's blooming amazing! The bristles are so soft and when I washed it there was no hairs coming loose at all. You get a total of four brushes in the set this brush comes in and for just €3.64 it's absolutely amazing! You can also choose between Black & Gold or Pink & Silver. As always if you do decide to order something from BornPrettyStore you can use the code "JRDH10" to avail of free delivery and 10% off your order. I don't make any profit from this in anyway, the lovely people over at BornPrettyStore were just kind enough to provide a discount for my readers! Have you tried any of the brushes from Born Pretty Store? Lovely post hun. I must have a look at these because I love getting a bargain! The beauty blender looks just like RT! I'm a sucker for gorgeous packaging even when the product isn't that great. 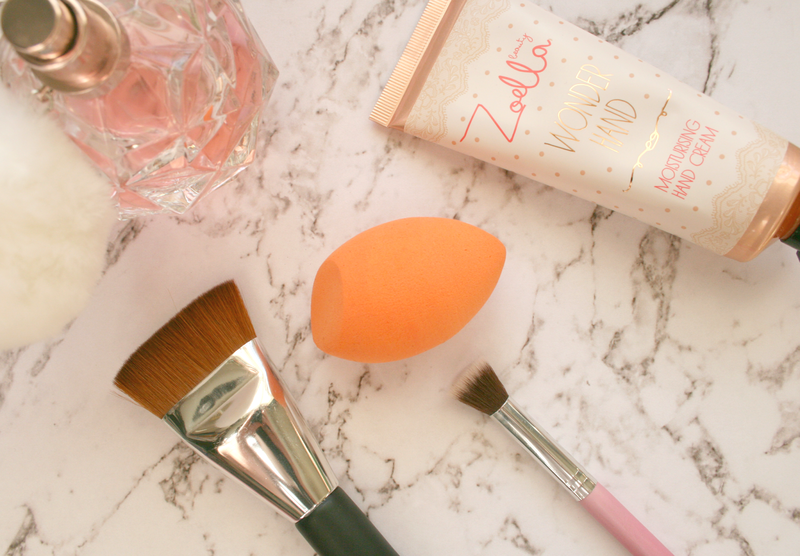 I recently got a blending brush and a beauty blender just like the ones pictured and i cant remember back to a life without them now! I may have to pick up a couple of those sponges for that price, they sound so good!